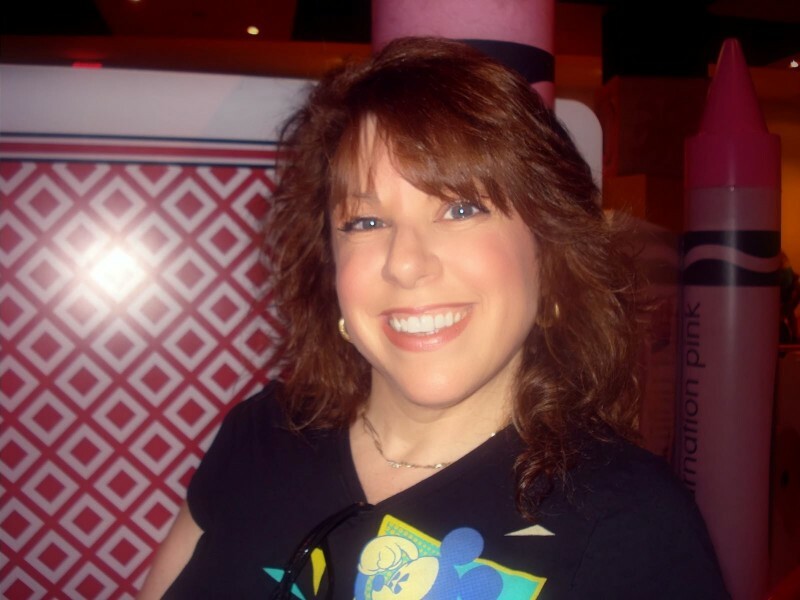 I want to welcome Samantha Chase to the blog who is here to dish about the Shaughnessy Family. Congratulations on your upcoming release of Love Walks In, the second book in the Shaughnessy Brothers series which will hit bookshelves April 5, 2016. For those readers who are not familiar with the series can you tell us a little bit about the Shaughnessy Family? The Shaughnessy family consists of five brothers and one sister. They are a traditional Irish family who lost their matriarch at a young age. Aidan – the oldest – was 18 when his mother died and his sister Darcy was the baby of the family at only 10 months. Their mother was the heart of the family and when we meet up with them in this series, we are seeing how losing her affected them all in different ways. As for how they’re connected to the Montgomerys, the two families knew each other when they were kids – but it was the Montgomery cousins (Ryder, James, Zach and Summer) who knew them. Aidan has done work for James and Selena Montgomery as well as for Ethan and Summer Reed. We haven’t had a major crossover or anything yet. It’s all just been briefly mentioned in the Montgomery books – “Meant for You” and “I’ll Be There”. So far we’ve met Aidan who own his own construction company and he is definitely set in his ways. What research did you do to prepare for that book? I know we talked before about this but I have to say I was looking around the house for anything that needed to be “fixed” so I had an excuse to buy my husband more tools 😉 after reading Made For Us. My husband is in construction and has been for over 25 years so the lingo was very familiar to me. Plus, we had just moved in to a brand new house when I was working on this book and we had been having a LOT of dealings with the builder on issues my husband was finding so I thought it would be fun to use some of that in the story. My husband is a perfectionist and sees things no one else sees. It’s both a blessing and a curse! In your newest book, the second book in the series, we meet Hugh. This amazing must read is set at an upscale hotel and there is a lot of mention about fine wines. Were there trips to vineyards, tastings or getaways to research for this? Okay, here’s the funnies thing – I don’t drink! I hate wine! However…one of my closest friends DOES work for a wine distributor and she talks about wines a LOT. Almost to the point of my eyes glazing over. I’ve gone to the warehouse and walked around and heard just enough to be dangerous – or to use it in a book. Lol! What about Bordeaux Bill, he’s a character. How did he find his way into the story? Yup, Bordeaux Bill is my friend’s boss and he is an absolute RIOT. The first time I met him – and I mean literally the FIRST time, I knew he had to be in a book. He is loud and obnoxious and doesn’t really care who he offends, but he’s got a heart of gold. He was a little disappointed that he wasn’t the hero of the story – and wasn’t getting a love scene – but I think I did him justice. I think that Bill’s character really was the first part of the story that I really mapped out! Because he’s someone I really know, I already had it worked out what I wanted him to do and the things I wanted him to say so I built a lot of the story around him! Kind of funny that the secondary character got the star treatment! I love your new cover designs – fun, flirty and so romantic. Aren’t they beautiful? I am so excited about this new direction! And each book cover just gets better and better. Although I will admit…my absolute favorite is on the third book in the series – “Always My Girl” – which doesn’t come out until July. For the Shaughnessy’s how many books will the series have? What about any crossovers between the series? The Shaughnessy series will have six books and there is going to be a trilogy that is an off-shoot of it, but I’m not going to share anything else on them yet! It’s a secret! The Montgomery Brothers had six books – can you tell us if there will be anymore? As for the Montgomerys, nothing is on the calendar but I do have three more stories left that I want to tell. It’s just a matter of finding the time to write them! Thank you so much for joining me on the blog this week. I can’t wait to share The Shaughnessy Brothers Series with readers. What makes you the perfect date? (50 words or less): No one – including myself – has ever said that! But if I had to say something, it would be that I like to take care of all the details so that my date doesn’t have to worry about a thing. What do you look for in a woman? (50 words or less) Typically someone strong and independent but also enjoys being taken care of. Describe yourself in 100 words or less: I’m a bit of a control freak – or so I’ve been told! I’m hard working and know exactly what I want out of life. I can be quiet and observant – a bit of a people watcher. I don’t enjoy crowds very much. I prefer if I’m out, to be out in a small group or with one person. What makes you the perfect date? (50 words or less): I am extremely attentive. I believe in taking a woman out for a romantic dinner with dancing and candlelight and making her feel like she is the most important thing in the world. What do you look for in a woman? (50 words or less) She’s intelligent and easy to talk to but who isn’t looking for forever. I travel a lot and she would need to be understanding of that. Describe yourself in 100 words or less: I’m a really regimented man. I mean really. I like things done a certain way and I’m a stickler for routines and schedules. Some say I’m overly cautious – in every aspect of my life – but that doesn’t mean that I’m boring. I have an appreciation for the finer things and I’m outgoing and enjoy being around people and making new friends. What makes you the perfect date? (50 words or less): I don’t really think I am. I don’t believe perfect is something anyone can attain. Dating really hasn’t been on my radar but when I do take a woman out, we usually talk about science. And she’s normally a scientist so I guess you can say I make sure we talk about mutual interests. What do you look for in a woman? (50 words or less) I spend a lot of my time trying to not be noticed. But if I notice a woman, it’s usually because we’re both working together or studying together. I look for someone who understands me. Describe yourself in 100 words or less: Quiet. Shy. Socially awkward. At least that’s how most people tell me I am. I don’t think about it much. I’m devoted to my field of study and helping others learn about astrophysics and it pretty much consumes all of my time and energy. What makes you the perfect date? (50 words or less): When I’m out on a date with a woman, there is no one else in the world. I put all of my attention on her and do my best to make sure that our date includes everything she wants. What do you look for in a woman? (50 words or less) I used to be all about the looks – mainly because women were always chasing after me. I had superficial relationships, now I look for a woman who sees more than a rock star, a celebrity. I want to find someone who just sees me. Describe yourself in 100 words or less: Confident. Talented. And currently, mildly insecure. I have always loved music, loved to sing and if I couldn’t do that, I don’t know what I’d do with myself. Music is just a part of me. I put my partying ways behind me – not that I had much of one. I’m just as comfortable on stage in front of thousands of people, as I am at home watching TV. What makes you the perfect date? (50 words or less): I’m the fun one in the family. I like to go out with a woman to a bar or someplace with loud music or find something athletic to do. I want to be where the party is. What do you look for in a woman? (50 words or less) I’ll admit to being a little shallow here – I am all about looks. Tall, blonde, curvy…and that’s about it. Describe yourself in 100 words or less: Like I said, I’m the fun one. I am all about living life to the fullest. I enjoy sports – all sports – and I hate to be idle. Cars are my current passion and to me it’s go-big-or-go-home. If I can’t succeed and excel at something, then it’s time to move on. So far it’s worked for me. Which Shaughnessy Bachelor would you date? Thank you so much for having me here today, Rae!! And I would want to date Quinn! Lol!! Heather- that’s a great choice 🙂 Happy Reading! Thanks for the mini bios on each of the men. A great summary. 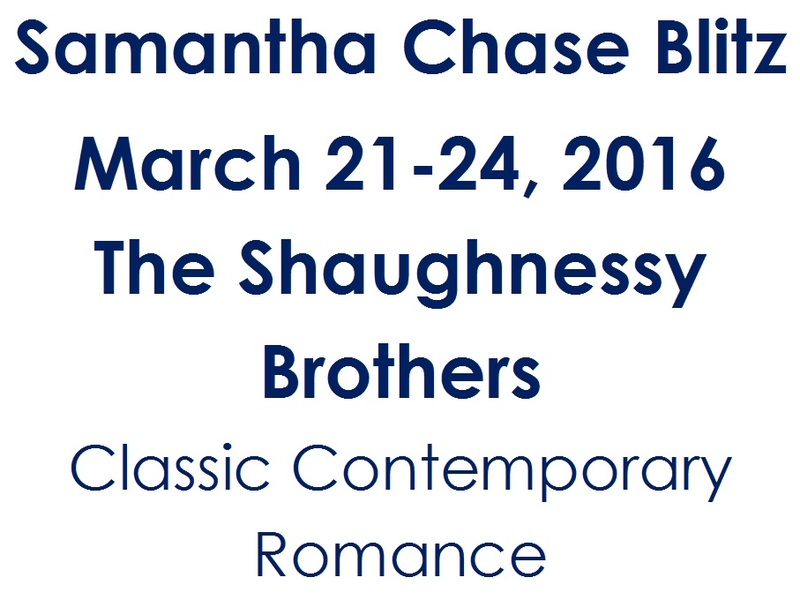 I loved the Montgomery brothers and can’t wait to read the Shaughnessy brothers. I’m thinking a different one each day. I agree with Mary Preston! 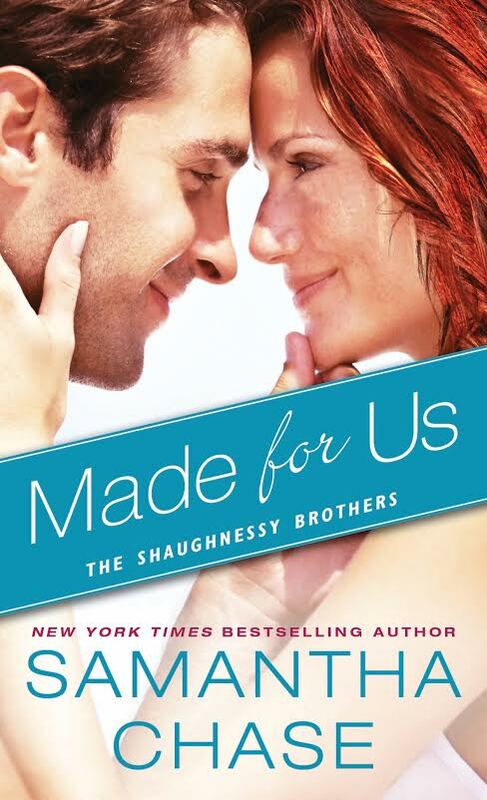 Congrats Samantha on your new release – can’t wait to read about the next Shaughnessy brother! I would date Aidan because when I move back to my rental property, it is going to need a lot of work!! Can’t wait to read the series. Aiden definately. Love the rugged type who love to work with their hands. Can see back rubs when needed. After reading all that I would have to go with Aiden. But I can’t wait for Owens book there’s just something about his nerdiness.